No doubt aware that it was in the latter half of 2017 that Sebastian Vettel and Ferrari allowed the title(s) to slip through their fingers, the Maranello outfit appears to have learned its lesson and is intending to mount a full-on attack on Lewis Hamilton and Mercedes following the Briton's back-to-back wins in Germany and Hungary. With Spa and Monza being power circuits, what better time for Ferrari to introduce its latest upgrade... unfortunately for the Italian manufacturer Mercedes is thinking along the same lines. 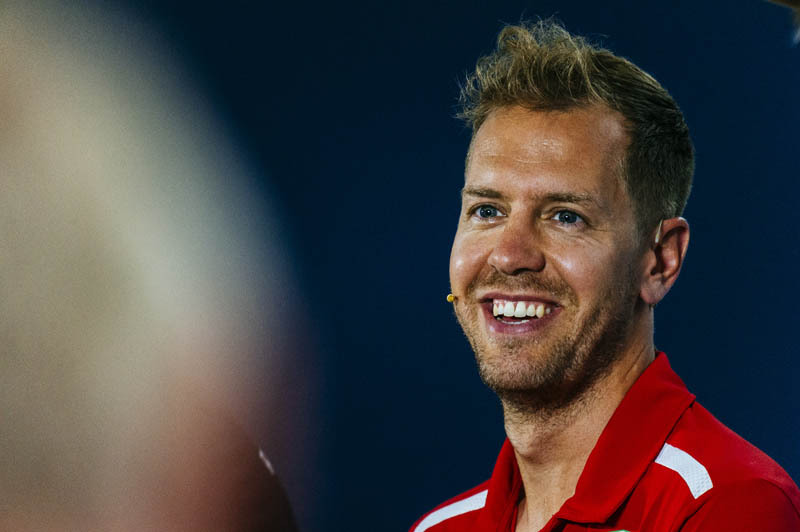 "We'll have a new engine" Vettel told reporters, and while this has yet to be confirmed it would appear that the new unit will be made available to the German on Saturday. Kimi Raikkonen, a four-time winner at Spa, would really appreciate the upgrade, the Finn having used the same engine for the last seven races following a failure in Spain and yet to enjoy the first upgrade made available to his teammate in Montreal. "Every upgrade that we have and every opportunity there is for an upgrade is important," said Hamilton. "These are two big power circuits we've got these next two weekends. "This weekend I think they've got a new power unit," he added, referring to Ferrari, "and we will have a new power unit. It will be interesting to see how they fare with each other, but naturally I've got a lot of confidence." While Ferrari introduced its upgrade in Spain, due to technical difficulties it was not until France that Mercedes introduced its upgrade. The Italian team then introduced a significant car upgrade at Silverstone, a week after Mercedes car upgrade made its debut in Austria. If the upgrades are introduced, it will mean a grid penalty for Valtteri Bottas after Mercedes opted to change his engine following his retirement in Austria. If both teams do run their upgraded engines on Saturday, it will be the first time this year they have introduced a significant upgrade at the same time. Check out our Friday gallery from Spa, here.